Thailand is relentlessly asserting its claim as Asia’s key technologyefficient manufacturing spot, with its latest laurel – a twostep leap to becoming the 32nd most competitive economy on the World Economic Forum’s (WEF) global competitiveness index. The T-Plas trade show, held in Bangkok in September, also highlighted Thailand’s strength as a manufacturing and market base. It was co-located with Pack Print International and featured six national pavilions. The second largest economy in the ten-nation ASEAN, Thailand is ardent in its pursuit to becoming, or shall we say, maintaining its Asian powerhouse standing. The Thailand 4.0 initiative, for example, where the manufacturing ecosystem will be hinged to technology and innovation, gives a worm’s eye view of the bigger, rosier economic picture Thailand is painting. The country’s economy is pillared on its strong sectors like automotive, electronics, consumer goods, building and construction, aerospace and more, with its economy growing 3.7% year-on-year in the second quarter of the year, from 3.3% during the first quarter. It has also seen an exponential growth in domestic spending in recent years, posting a growth of 3.3% yearon- year. Plastic products are one of Thailand’s top five exports, according to Gernot Ringling, Managing Director of Singapore-based Messe Düsseldorf Asia (MDA), which organised the recently concluded T-Plas. Speaking at the opening ceremony, he said this was “a harbinger for innovation and technological advances in the country”, thus the need for new technology. This was echoed by most of the exhibitors at the show. Austrian recycling machine manufacturer Erema said the company was promoting new technology for the Thai market as was German extrusion machinery maker Reifenhäuser. 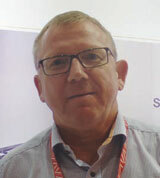 Managing Director of Reifenhäuser Singapore, Juergen Rehkopf, said that the demand for plastic products is prodding the upgrading of machinery. He added, “We notice there is a general trend for more quality films, and more customers are now considering five-layer PE structures (from the normal three-layers).” Rehkopf said there had been “a lot of requests for new equipment”, like the new Evolution Ultra Flat haul-off for producing films with improved flatness, enabling better printability and lamination capability. 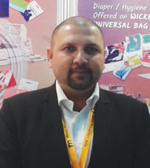 Exhibiting for the first time at T-Plas, India’s Mamata Machinery has an eye on the Thai packaging sector. Abhishek Barot, Sr Sales Executive (Export), said several potential customers had conveyed interest in the company’s blown film and converting lines. 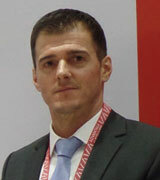 Romain Reyre, President for Southeast Asia of Austriaheadquartered injection moulding machine maker Engel, told PRA that most visitors to the booth were from the packaging industry. He added, “We see that the packaging industry is continuing to grow and there is strong interest for in-mould labelling (IML) and energy saving targets.” Engel showcased a fully electric e-mac 440/180, demonstrating the production of oval bowls for convenience meals, using a four-cavity mould with IML, running a 4.5 second-cycle time. “This highly energyefficient machine can be used for general applications across various industries, such as packaging, medical and technical moulding,” Reyre said, adding that Engel’s inject 4.0, is the company’s response to Thailand’s imminent digital transformation. As well, Reyre said that while the medical industry is receiving a great deal of attention, he averred that this sector still needs time to grow. 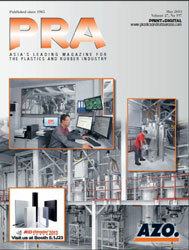 “Overall, the packaging industry should be more active than the others,” he opined. At the onset of the year, Thailand’s exports in the automotive sector turned soft amid a rattled economy. But the country, dubbed Detroit of the East, has bounced back. Citing the Thai Automotive Industry Association’s (TAIA) data, domestic sales and exports in January were pegged at 57,254 units and 80,087 units, respectively; falling against sales and exports of December 2016 totalling 86,858 and 86,120, respectively. By August 2017, TAIA said the country’s domestic vehicle (passenger and commercial) sales totalled 67,965 units and exports were 102,907 units, up from the previous month (July)’s 65,178 sold units and 90,015 exports. Meanwhile, German thermoforming machinery maker Geiss is upbeat. 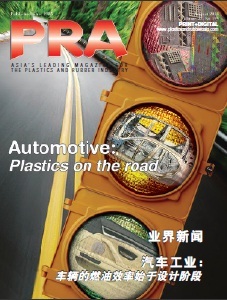 “The automotive and aerospace markets are favourable, compared to those in the rest of Southeast Asia,” Ankit Kapoor, Regional Head of Geiss told PRA. “Almost half of Geiss’s turnover is from the automotive sector, and considering that there are a number of major Japanese companies in Thailand, we have gained quite a few customers,” he said, adding that Thailand’s aerospace sector also shows potential as a high-growth niche market. The country’s air transportation sector is enjoying brisk business, owing to its bustling tourism industry, as well as air travel driven by a rise in disposable incomes and offers of affordable airfares. According to the Thai Board of Investments (BOI) August 2017 report, the country’s air traffic is to expand 3.4%/year for the next 20 years to reach 7 billion passengers by 2034, thrice faster than the global market. Meanwhile, Frost & Sullivan’s Asia Pacific aerospace infographic shows that Thailand's aircraft fleet is likely to increase to more than 800 by 2037, growing at a CAGR of 4.8%. The WEF, in its recent survey of economies, underscored Thailand’s achievements on infrastructure projects. The country’s Eastern Economic Corridor (EEC) initiative, which is expected to mould it into a trade and manufacturing titan, is expected to be completed by 2021. The EEC’s US$43 billion estimated allocation will cover four core areas: infrastructure; business, industrial clusters and innovation hubs; tourism; and new cities through smart urban planning. Evidently, the project will boost the building and infrastructure sectors. 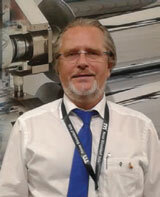 For first time exhibitor, Greiner, a supplier of extrusion lines for profile extrusion, it is at the right place and at the right time for a potential windfall from these sectors, said General Manager Oliver Schuerrer. “We are currently growing our customer network, even though it is competitive,” he said, adding that the company will require an estimated two years to achieve its target. It also has a biotechnology and medical devices unit, Greiner Bio-One, located in Thailand. 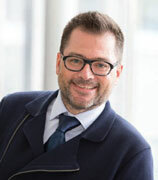 In Asia, the Austria-headquartered firm has offices in South Korea, China, Japan, and India, which Schuerrer mentioned as a strong market, besides a presence in Europe and the US. Meanwhile, Bangkokheadquartered petrochemical firm SCG Chemicals’s Wire and Cable (W&C) division was exhibiting at the adjacent Wire and Tube Southeast Asia show, also organised by MDA. Saksit Chongcharoen, SCG’s Domestic Sales Manager-PVC Compound, mentioned that the company is already a stalwart in Thailand, and is ready to explore opportunities in other Asian markets. “There is high demand for power and telecommunications cables used in building and infrastructure in the Asian region. 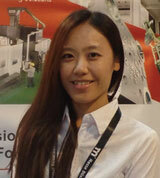 From Thailand, we are able to serve markets like China and India. But we find that India has many local compounders, thus, it is difficult to penetrate,” Chongcharoen said. He added that Thailand’s wire/cable market is hinged on private developments like condominiums and department stores; and government projects. “This year, investments in government projects have increased and this augurs well, whereas, investments by the private sector have slowed, making it a challenging time for the building sector.” Nevertheless, he deems that this setback is temporary. The booming property development and real estate markets, including condominiums and stand-alone housing, are bolstering demand for consumer appliances in Thailand, according to Euromonitor International’s 2016 country report. Along with an increasing disposable income, political stability, and economic stimulus package by the government, the advent of new property development are buoying consumer confidence. Geiss’s Kapoor confirmed a potent opportunity for white goods, such as refrigerators and washing machines. “We have supplied more than 17 machines to a Thai customer that makes refrigerators,” he said. This was opined by another exhibitor, Austria-headquartered machine manufacturer Wittmann Battenfeld, which has a Thai subsidiary that was set up in 2004. 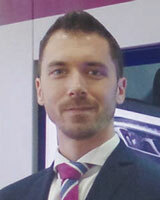 Florian Herbst, Area Sales Manager, referred to the challenge of positioning in the market amid competition. “Over the last few years, it was a little tough but we are getting hold of the market,” he said, alluding to a competitive footing with Japanese machine suppliers. Japan established diplomatic relations with Thailand in September 1887, and formed a Japan-Thailand Economic Partnership Agreement in late 2007, according to the Ministry of Foreign Affairs of Japan. Trade value from Japan amounted to about 3 billion yen in 2016. Currently, there are over 4,500 Japanese companies in Thailand. Though it all looks rosy in Thailand, it has its flaws, too. The WEF report pointed out that the country’s competitiveness is marred by several conditions including bureaucracy, insufficient capacity to innovate, lack of skilled workforce, and tax policies, to name few. Geiss’s Kapoor said that next to China, Thailand is a “very strong country in the entire region”, owing to its expansive industries. Engel’s Reyre conjured a bright market outlook for Thailand. “In the coming years, we expect that GDP will improve and the automotive and packaging industries will grow,” he said, rounding off an overall favourable sentiment for the Thai market.